Intense Polish Therapy: Morphe: 25B-Bronzed Mocha Eyeshadow Palette | Review Time! 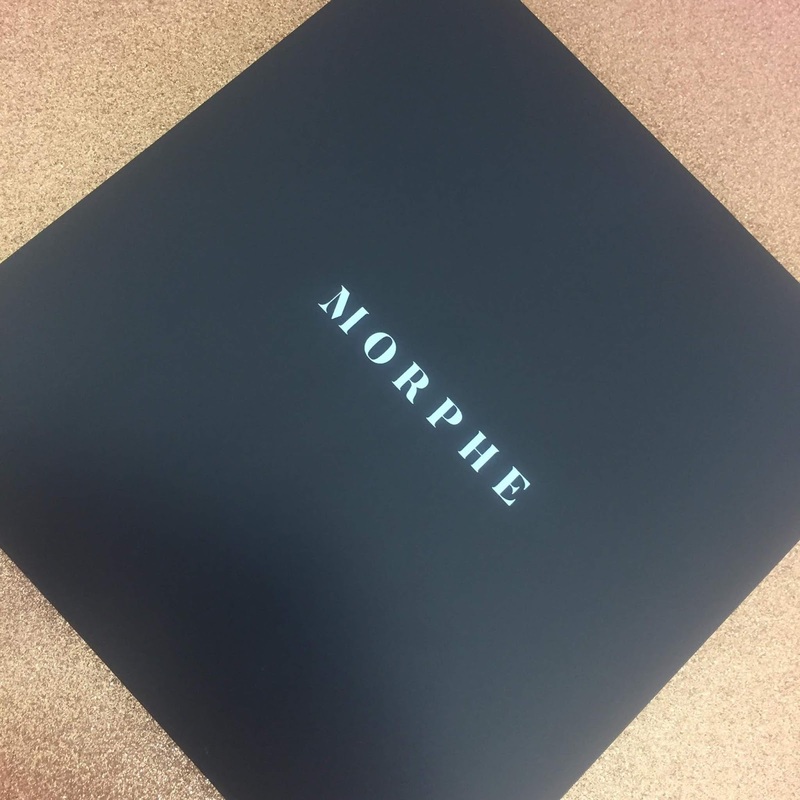 Morphe: 25B-Bronzed Mocha Eyeshadow Palette | Review Time! Hey Everyone! This palette was available at my local mall and I wanted to give it a try. I have a few Morphe palettes already, and I hope that this one performs similarly to the others that I own. The Morphe 25B-Bronzed Mocha Eyeshadow Palette has twenty-five shades in a variety of shimmers and mattes. These shadows feel very smooth and creamy to the touch, while also being very pigmented. These shades come in a range that would look flattering on most skin colours, if you are looking for a bronze or brown smokey eye look. 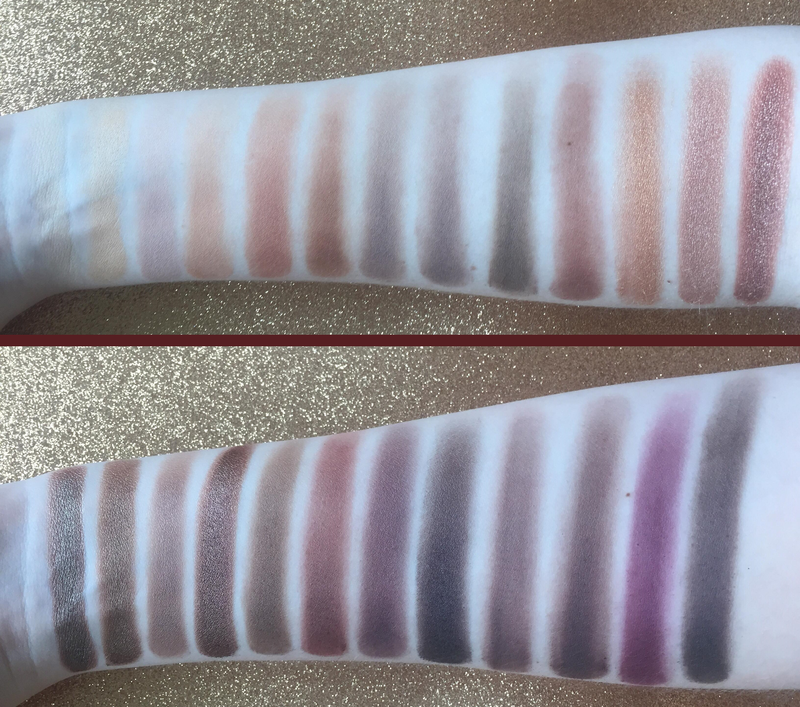 The swatches could look better, but the pigment is very good for all of the shimmer shades and most of the matte shades. On the eyes, the matte shadows perform really well, but the shimmer shadows aren't as good. The matte shades were very pigmented and mostly blended out easily other than some of the darker shades. The shimmer shadows didn't apply very well at all with a dry or wet brush. I think they would have looked better if I used some glitter glue, but I didn't try that so I'm not completely sure. I wore this eye shadow for about eight hours and it held up alright. There was a little bit of creasing, but nothing anyone would notice unless they were staring at me close up with my eyes closed. The eye shadow pigment did wear off slightly throughout the day, but I had rubbed my eyes a few times so that didn't surprise me. It was also very comfortable on my eyes, which is why I accidentally rubbed my eyes because I forgot I had eye shadow on. All in all, the Morphe 25B-Bronzed Mocha Eyeshadow Palette is pretty good for the price. This isn't the best palette I've used, but it did a good job and looked good throughout the day. The shimmer shades could be much better, but I liked most of the matte shades. This palette is $24 making each shadow in it less than $1, so if you're looking for a cost effective palette you should definitely try this one. If you like a bronze eye look, I would recommend picking up this palette at your local showcase and giving it a try!